It has become incredibly cold here over the past 24 hours. Coats are needed and it really feels like a winter coat could be in order. 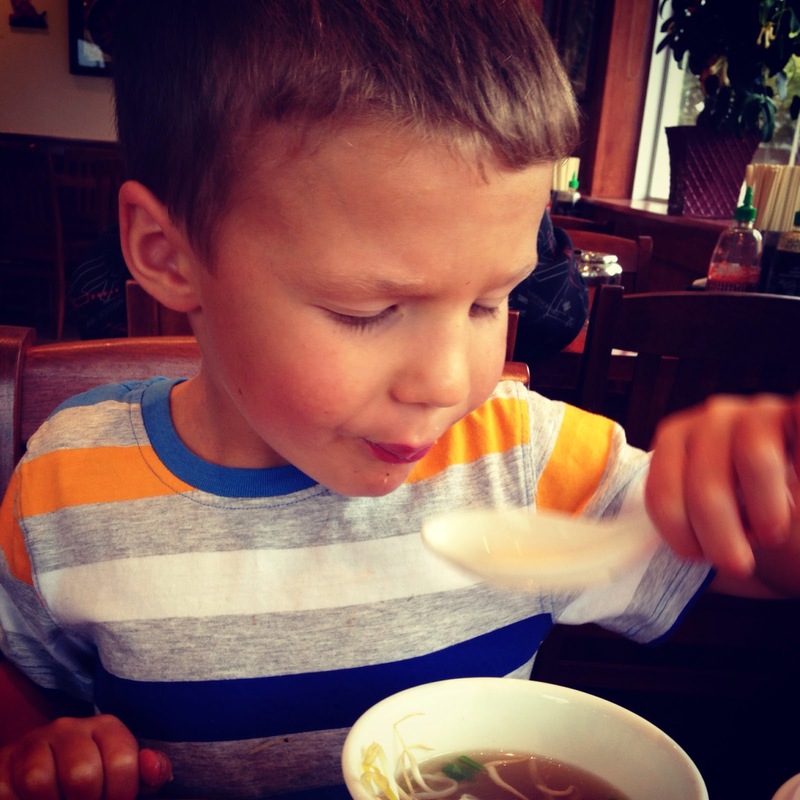 Little man and I have been planning a date night since earlier in the week and tonight we decided to go out for Pho. Pho is the most delicious Vietnamese soup. It's normally filled with rice noodles and meat and is served with a side plate of add ins. I love to add in Thai basil, lemongrass and bean sprouts. I wasn't quick enough to ask for no noodles tonight, so I just picked around the noodles. The perfect bowl of soup on a blustery day.